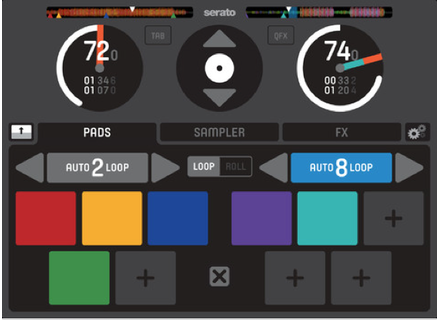 Serato Remote, OSC / MIDI controller for iPhone / iPod Touch / iPad from Serato. DJs equipped with an iPad can now control the Serato Scratch Live and Serato DJ software from their tablet. 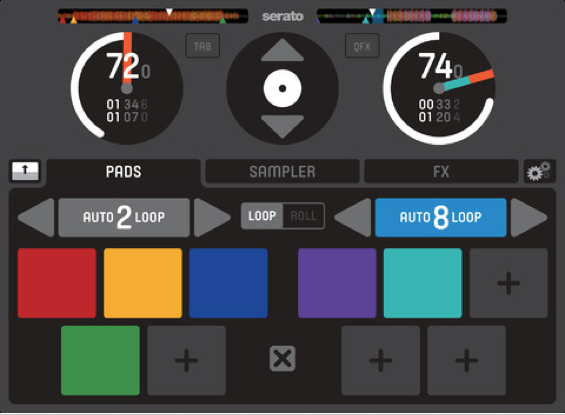 Serato has launched Serato Remote, and iPad app (iOS 6.0 and later) that allows you to remotely control the main functions of Serato Scratch Live and Serato DJ. The app is also compatible with the hardware controllers supported by the two software. Serato Remote also lets you explore the library and load files to the decks and sample slots. Serato Remote requires the latest versions of Scratch Live and Serato DJ, which have been updated for the occasion. Serato Scratch Live is now in v2.5, an update that brings, along with the iPad app support, Pioneer CDJ-2000 Nexus support, MIDI Output Lightning feature that will light the LEDs of you MIDI controller when using Scratch Live, and a free sound library by Loopmasters. Serato DJ has been updated to v1.2.1, for Serato Remote, Numark N4 and Vestax Typhoon support. It also includes a Loopmasters sample library. Serato Remote is available for 17.99€ / $19.99 at the AppStore and the Serato Scratch Live and Serato DJ updates can be downloaded from serato.com. -25% off FabFilter bundles and updates FabFilter offers a 25% discount off all their plug-ins until August 1st and announces a new update for all their plug-ins. Simple Sam Samples samples a Stradivarius Simple Sam Samples introduces Signor Paganini Solo Violin, a spiccato / staccato violin sample library for Kontakt. Ploytec introduces the 700W compressor Ploytec announces the availability of is new 700W compressor plug-in in VST and AU formats for Mac OS X and Windows.